Bed bugs are a problem in most areas of the world, but infestation rates are particularly high in the United States. Not long ago, CBS News released a list of the most bed bug infested cities in the country. Unfortunately for Massachusetts residents, Boston was named as the 11th most bed bug infested city in the nation, and other cities in the state, such as Cambridge and Andover, also see a relatively high amount of bed bug infestations. Considering how common bed bug infestations have become, you would think that the public would be well informed concerning bed bug habits and how the insects are spread from one location to another. For example, many people believe that bed bug infestations are almost solely limited to mattresses, and many people are convinced that bed bugs are only active at night, and therefore, bed bug bites can only be sustained during the night. These are just a couple of the many common mistaken beliefs that Americans have about bed bugs. In order to better control bed bugs and prevent infestations, it is essential that the public be well educated about bed bug behaviors and where the bloodsucking insects are most commonly found. 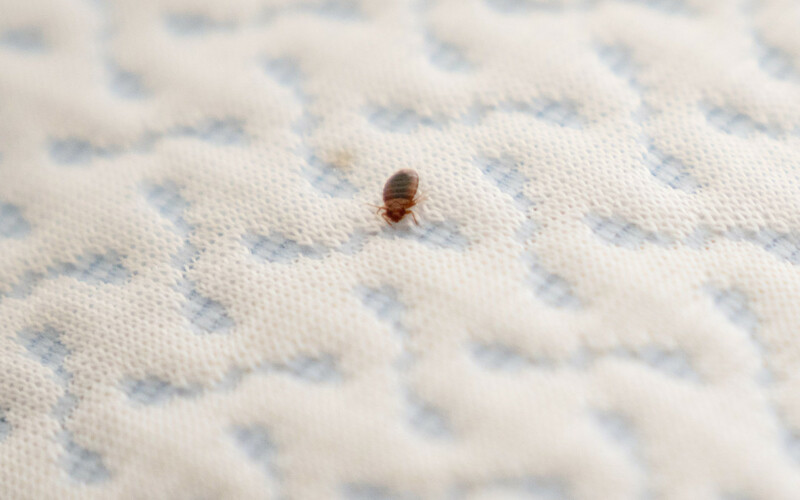 While around 70 percent of bed bug infestations within residential homes see the insects infesting mattresses and bedding, bed bugs are not any more attracted to beds than they are to linen closets, dresser drawers, furniture and and any other location that contains textile fabrics of some type. In fact, most news stories about bed bugs describe infestations as occurring within movie theaters, airports, libraries and just about any other non-residential structure a person can think of. Although bed bugs prefer to dwell in fabrics for reproductive and other biological reasons, the insects can survive for up to five months without consuming any blood-meals at all. Therefore, the insects are not burdened by a constant need to secure a dwelling within fabric sources. Obviously, bed bugs infest people’s clothes, as this is how the insects are spread, but few people are aware that the insects are even more attracted to dirty laundry piles than they are to clean clothes. It has been theorized that bed bugs prefer the human bodily odors that linger on dirty clothes, which explains why they are frequently found within laundry rooms. It is also commonly believed that infested mattresses and furniture must be thrown out, but modern pest control techniques make this unnecessary. If your home became infested with bed bugs would you assume that your infested mattress would have to be discarded?